Moringa oleifera has been used for centuries due to its medicinal properties and reputed health benefits, which is exactly why it’s dubbed as “The Tree of Life”. This tree is a native to India but also grows in Africa and South America. Moringa can be used as a natural leaf powder supplement, although the pods, roots, bark, flowers, seeds, and fruits are also edible. Luckily, there are already tons of research that back up its benefits. Moringa is a natural, whole-food source for vitamins, minerals, proteins, antioxidants and other important compounds that your body relies on to stay healthy. 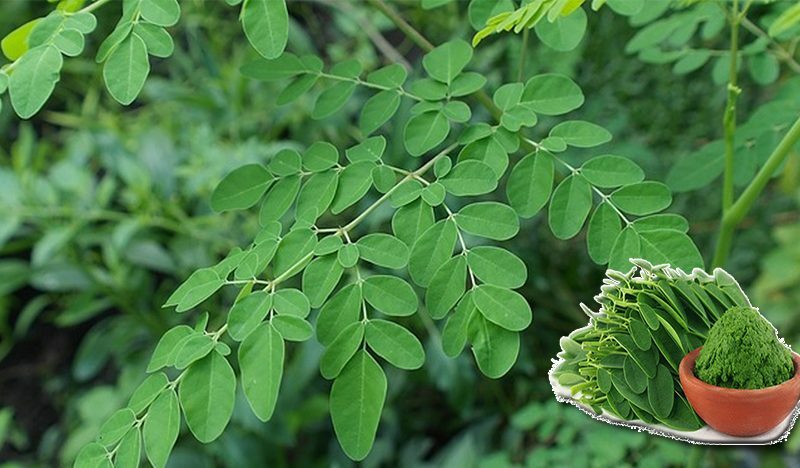 Several antioxidant plant compounds have been found in the leaves of Moringa oleifera. One study has found that taking moringa leaf powder every day significantly increased blood antioxidant levels. Inflammation is the body's natural response to infection or injury. Although it is an essential protective mechanism, inflammation may become a major health issue if it continues over a long period of time. It is linked to many chronic health problems including heart disease and cancer. From research on animals, experts have discovered that the Moringa leaf can significantly decrease inflammation as it suppresses inflammation-causing substances within the body. High blood sugar can be a serious health problem, a main characteristic of diabetes. Over time, it raises the risk of many serious health problems including heart disease. For this reason, it is important to keep your blood sugar within healthy limits. Several studies have shown that Moringa helps lower blood sugar levels caused by plant compounds such as isothiocyanates. The liver filters impurities from the blood metabolize drugs, synthesizes proteins and performs a host of other important functions. All of this is only possible when the liver enzymes are at stable levels. The polyphenols in the moringa plant can reduce the risk of liver damage and even stabilize the enzyme levels. With all its nutritive benefits, the Moringa plant prevents oxidative stress from causing degenerative diseases in the nervous system, stabilizes the production of various important hormones like dopamine and noradrenaline, and is even proven useful for treating patients suffering from Alzheimer's disease. Arsenic contamination of food and water is a problem in many parts of the world. Long-term exposures to high levels of arsenic may lead to health problems over time. Some studies have linked it to an increased risk of cancer and heart disease. Interestingly, several studies have shown that leaves and seeds of Moringa may protect against the effects of arsenic toxicity. These results are promising, but this has not yet been studied in humans. There are some ways to consume Moringa oleifera. You may use the leaves fresh, dried, or ground into powder. For instance, you can add it into healthy shakes in powder form, use it as tea, or sprinkle it over any dish. However, like other healthy foods, it may cause indigestion if taken in large amounts.